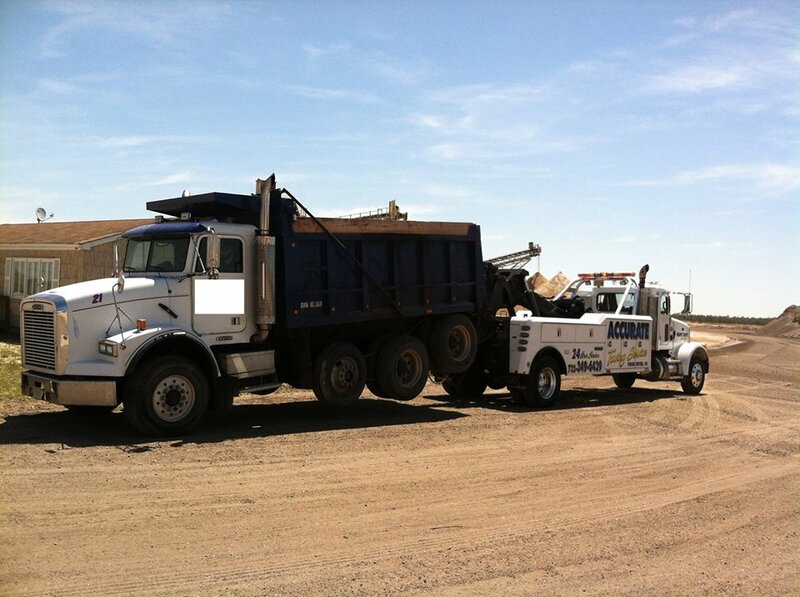 Accurate Towing Service has a wide variety of medium and heavy duty trucks to easily manage larger, heavier trucks and equipment. Our skilled operators are specially trained to handle heavy vehicles and know how to transport your vehicle safely from point A to B, damage-free. Medium duty vehicles are 10,001lbs to 26,000lbs and vehicles over 26,001to 49,999 lbs are in the heavy duty category. Depending on the equipment installed on the truck, some medium duty vehicles may require a larger truck to tow them. ROTATOR – Our heavy-duty rotator has dual winching capabilities of 60,000 lbs. per winch and a boom capacity of 60 tons. WINCHING – Our operators have years of experience winching a variety of vehicles and equipment including; tractor-trailers, concrete trucks, dump trucks and heavy excavating equipment. We provide towing service 24/7 all year. Our dispatchers are knowledgeable in the industry to assist you by sending the right kind of equipment and personnel for your situation at any hour of the day, and our operators are fully trained, TRAA Certified and continuously tested to ensure best in class service. We offer competitive rates for both our local and long distance services. Contact us about a corporate account today.